Kiwi scientists have joined a bold mission to measure mysterious cosmic ripples from a trio of orbiting spacecraft. Since scientists physically observed gravitational waves for the first time – confirming a century-old theory by Albert Einstein in the process – they’ve become one of the most-discussed topics in science. We’ve long understood space-time as a four-dimensional fabric able to be pushed or pulled as objects move through it. If we thought of this fabric as a trampoline mat, gravitational waves might be likened to the ripples produced from dropping a bowling ball on to it. A signal that was detected by the US-based Laser Interferometer Gravitational-Wave Observatory (LIGO) in 2015 meant that we could view how the universe worked in an entirely new way. The European Space Agency (ESA) is now developing what will become the world’s first space-based gravitational wave observatory, when it launches in the 2030s. The Laser Interferometer Space Antenna, or LISA, would consist of three satellites flying along an Earth-like orbit, in a triangle formation designed to directly detect any gravitational wave that passed through its net. While Earth-based interferometers such as LIGO operated in a frequency range above 10Hz, and could be disturbed by seismic noise from the ground, their LISA counterparts could do their listening at low frequency. This meant they could capture signals with much longer wavelengths, and potentially detect a wider range of sources, from merging massive black holes at the centre of galaxies and binaries of compact stars in our own galaxy, to traces from the Big Bang that created the universe. But pulling these fast-flying signals out of the background noise of space would be an incredibly challenging task. It’s here that a New Zealand group led by Associate Professor Renate Meyer, a statistician at the University of Auckland, will be making a crucial contribution. She said her background in the project could probably be traced back 20 years, when she suggested that measuring gravitational wave signals might be helped using a then-new simulation method called Markov chain Monte Carlo, or MCMC. It’s since become one of the main computational tools used to estimate wave parameters, and played a key role in picking up further gravitational waves that emanated from the spectacular collision of two neutron stars. University of Auckland PhD students had also since developed new algorithms designed to measure waves, and overcome problems with over-lapping signals coming through LISA’s data stream. Meyer said her research group’s main aim would be using such statistical approaches to characterise the noise captured by LISA. The gravitational wave signals would be embedded in a host of other noise – think of trying to listen to a couple whisper love poetry to each other at a crowded train station – so properly characterising the noise would be “extremely important”, Meyer said. “Current assumptions are convenient but unrealistic as they don’t account for slowly varying noise components or short-duration large amplitude transient noise events, or so-called ‘glitches’,” she said. “These instrumental glitches might prevent the identification of a true but low signal-to-noise ratio gravitational wave signal and lead to systematically biased estimates of the signal parameters. The Bayesian approaches the group aimed to develop would be able to deal with all of those hurdles. “Handling that will be a challenge in itself,” said the group’s deputy leader, Dr Matthew Parry of Otago University. “We will then have to thoroughly characterise how the datastream gets to us. “For example, this means knowing the operational characteristics of the spacecraft which are going to be roughly 50 million km away. 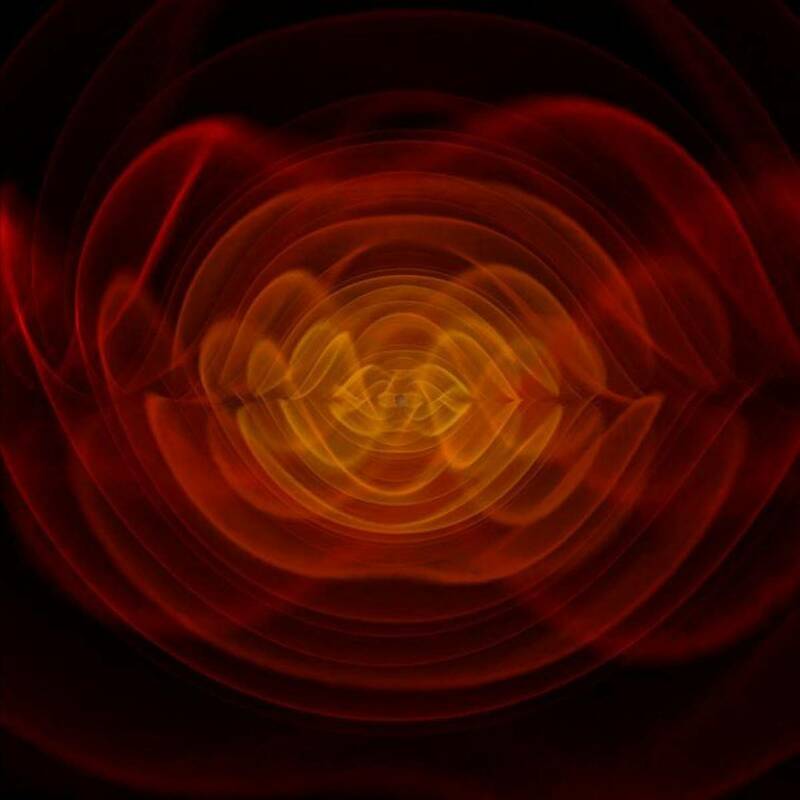 Meyer said it was a “hugely exciting” time to be working on gravitational waves – especially since their breakthrough detection four years ago. She pointed out how the Italian detector Virgo and the two LIGO detectors in the US had worked together with astronomers manning electro-magnetic telescopes to get a much clearer picture of the neutron star merger that led to the latest big discovery. Next Article Bitcoin (BTC) Price Analysis: Finally, Some Signs of Life!